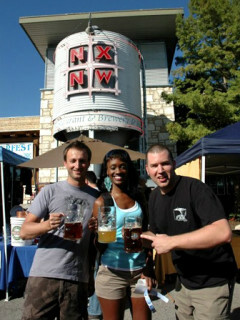 Oktoberfest at North by Northwest Restaurant and Brewery is an Austin tradition with special German brews, food, music and plenty of fun for the whole family. Admission to the two-day event is only $2 and benefits the Breast Cancer Resource Center of TX, Therapy Pet Pals of Texas, Central TX Dachshund Rescue and Oncology Massage Alliance. For the full lineup of live music and events (such as a bratwurst eating contest and dog costume contest), visit the NXNW website.